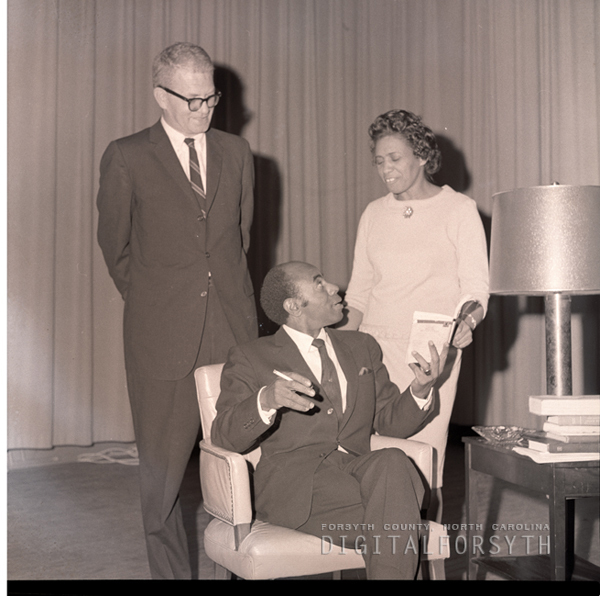 Poet and actor Roscoe Lee Browne, seated, on campus at Winston-Salem State College, 1967. These images are protected by copyright restrictions. Please contact the owning library (CG Okelly Library) for more information.